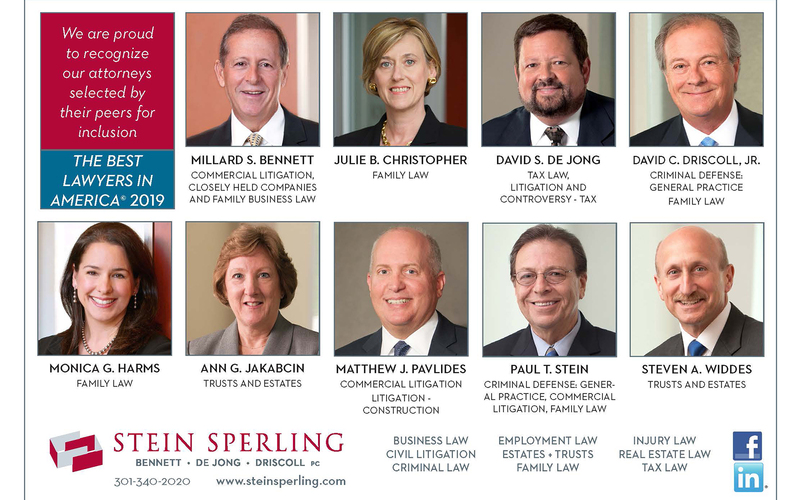 Stein Sperling Bennett De Jong Driscoll PC is pleased to announce that nine lawyers, Millard Bennett, Julie Christopher, David De Jong, David Driscoll, Monica Garcia Harms, Ann Jakabcin, Matthew Pavlides, Paul Stein and Steve Widdes are included in the 2019 Edition of The Best Lawyers in America. Best Lawyers has published their list for over three decades, earning the respect of the profession, the media, and the public as the most reliable, unbiased source of legal referrals. Inclusion is based on peer review based on professional abilities, a process that is repeated each year for an attorney to maintain his or her status on the list. Best Lawyers recognized Millard Bennett in the field of Commercial Litigation and Closely Held Companies and Family Businesses Law. As managing partner of Stein Sperling and co-chair of the business law department, he focuses his practice on business organization, ownership conflicts and resolution, transition of ownership interests, estate planning and civil litigation. Millard has been on the Best Lawyers list since 2013. David De Jong – recognized for his work in Tax Law and Litigation and Controversy – Tax – is chair of the firm’s tax law group. David helps businesses and individuals with a broad range of tax controversy and planning matters as well as estate planning, business transactions and valuations. 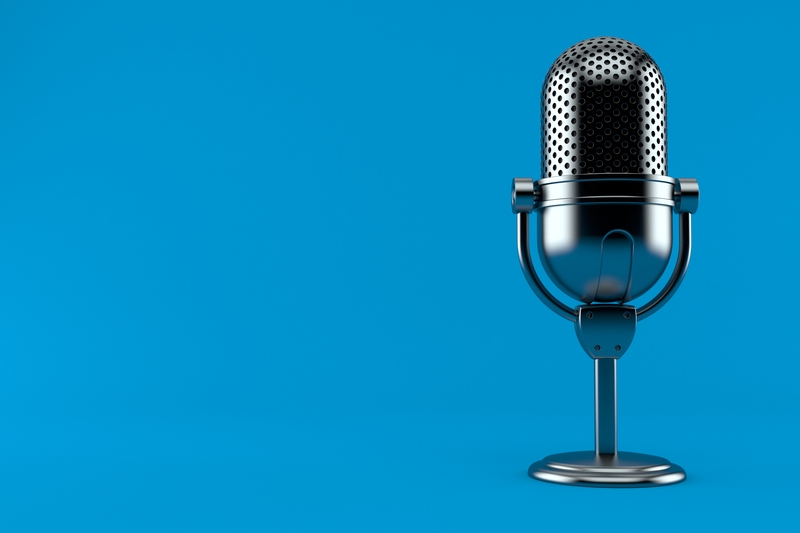 As a nationally recognized tax authority, David gives frequent speeches to various industry groups throughout the country. He has been on the Best Lawyers list since 2015. David Driscoll, co-chair of Stein Sperling’s criminal law practice group and a senior member of the family law and civil litigation groups, was selected in the field of Criminal Defense: General Practice. David has over 30 years’ experience in the courtroom and is a Fellow of the American College of Trial. David has been on the Best Lawyers list since 2011. Julie Christopher and Monica Garcia Harms – both recognized in the area of Family Law – are principals in the firm’s family law department. 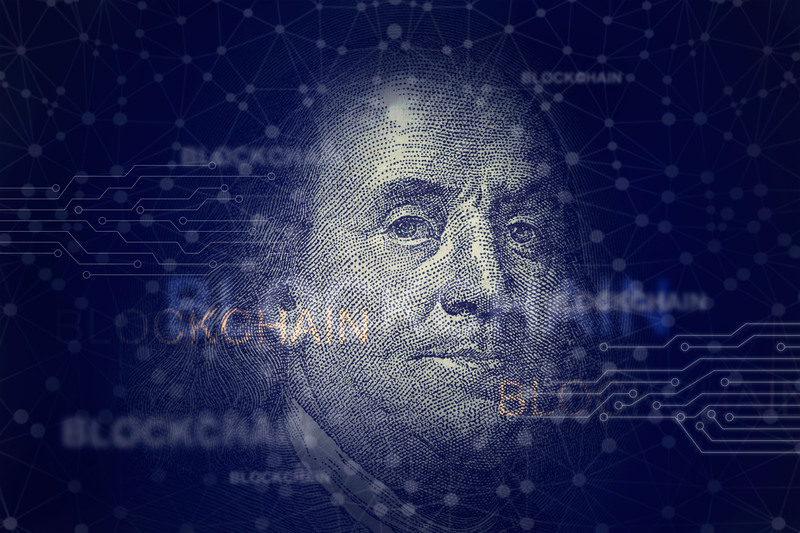 They focus on a broad range of issues from complex custody and access disputes to property distribution and business valuation issues and pre- and post-nuptial agreements. This is the first year for Julie on the Best Lawyers list. Super Lawyers magazine ranked Julie one of the Top 50 Female Attorneys in Maryland in 2018. Bethesda Magazine named Monica a Top Divorce Lawyer in its November/December 2013 issue and July/August 2017. This is her second year on the Best Lawyers list. Matthew Pavlides – recognized in the area of Litigation – Construction Law – recently joined Stein Sperling. He works with clients on a range of complex commercial and personal matters and has written extensively on construction litigation topics. This is his second year on the Best Lawyers list. Paul Stein – named to the Best Lawyers list in three areas of practice: Criminal Defense: General Practice, Commercial Litigation and Family Law – is co-chair of the firm’s criminal law and family law practice groups, focusing on complex contested family law and criminal defense matters. Paul is a fellow of the American College of Trial Lawyers and is board certified as a civil and criminal trial advocate by the National Board of Trial Advocacy. Best Lawyers has included him on its list since 2011. Co-chairs of the Estates & Trusts practice group Ann Jakabcin and Steve Widdes were selected in the field of Trusts and Estates Law. Bethesda Magazine listed them both as “Top Estate Lawyers” in its July/August 2018 edition. Ann’s practice focuses on estate planning for large and small estates, estate and trust administration and lifetime wealth planning. She has been on the Best Lawyers list since 2013. Steve works with clients in the areas of estate planning, estate and trust administration and tax and business succession planning. He is a Fellow of the American College of Trust and Estate Counsel (ACTEC). Steve’s inclusion on the 2019 Best Lawyers list marks over a decade-long streak, as he was first named to the Best Lawyers list in 2006.